Using Positive Reinforcement, our Puppy Development and Training options provides you with all the foundation training, prevention and socialization to prepare you for a positive lifelong partnership with your dog. We offer options for you to choose from, based on your training budget, time and training skills. Our training curriculum is based on the Puppy Start Right book, Puppy Start Right Foundation Training for the Companion Dog. We recommend you start puppy training as early as (8) eight weeks, The American Veterinary Society of Animal Position on Puppy Socialization. Introducing positive reinforcement, anticipate and manage puppy behaviors that may develop into problematic behaviors in the future. Prevent against boredom, release your puppy’s pent up energy –deter mischief. crate training and/or proper confinement. Introducing positive reinforcement, capturing and training for good manners. Train for the basic building blocks. Teaching and entertaining your dog with foundation behaviors will capture his/her puppy energy and redirect potential mischief and learn manners. Early socialization vaccinates your puppy against behavior problems like reactivity to other dogs, people, places, things and sounds. Without proper socialization, puppies can grow up to become fearful and reluctant to approach or be approached by unfamiliar stimuli (people, animals, things..) –some dogs may even grow to become reactive by showing fearful aggression. Not just socialization to other dogs! We will show you how to positively socialize your puppy to an array of stimuli. *We have a small window of opportunity for socialization. The current literature indicates a window lasting up to 14 weeks to expose puppies to positive socialization. The American Veterinary Society of Animal Position on Puppy Socialization. 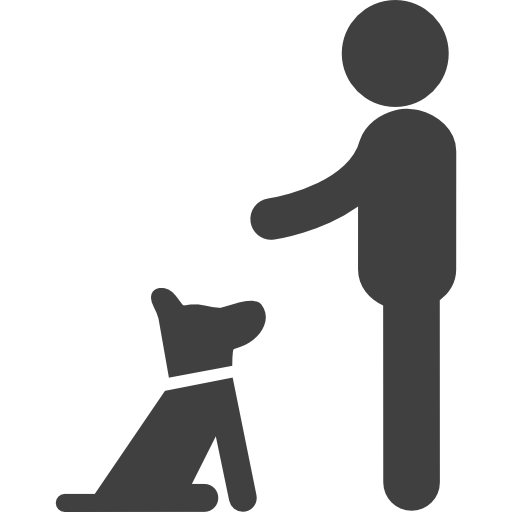 In –home private puppy development and training session. A comprehensive start-up, focusing on prevention, training and socialization. This is best option if you have prior puppy development knowledge, time and, some skills to train and socialize your puppy. However, you want to make sure you are doing it right! We recommend multiple sessions to ensure your progress is reliable. On the Spot! Coaching and Training with your puppy. We follow -up with a written summary of the session including a plan outlining the course and future training recommendations. We will include practical videos and relevant attachments. Let’s go beyond the basics. In –home private puppy development and training sessions. This is ideal if you wish to have more time with the pro and, you want to move faster and see greater progress. This option includes two sessions for review and coaching, and the pro has more time to work directly with your puppy. We follow -up with a written summary of the session including a plan outlining the course and future training recommendations. We will include practical videos and relevant attachments. In –home private puppy development and training sessions. The most aggressive for faster results. More sessions offer continuous review, trouble shooting and coaching on mechanics, timing, use of reinforcements and more time for the pro to work directly with your pup. We follow-up with a written summary of the session including a plan outlining the course and future training recommendations. We will include practical videos and relevant attachments.